Last year, the residents of Pecan Park wanted to have a unique and cohesive way to display their holiday spirit. 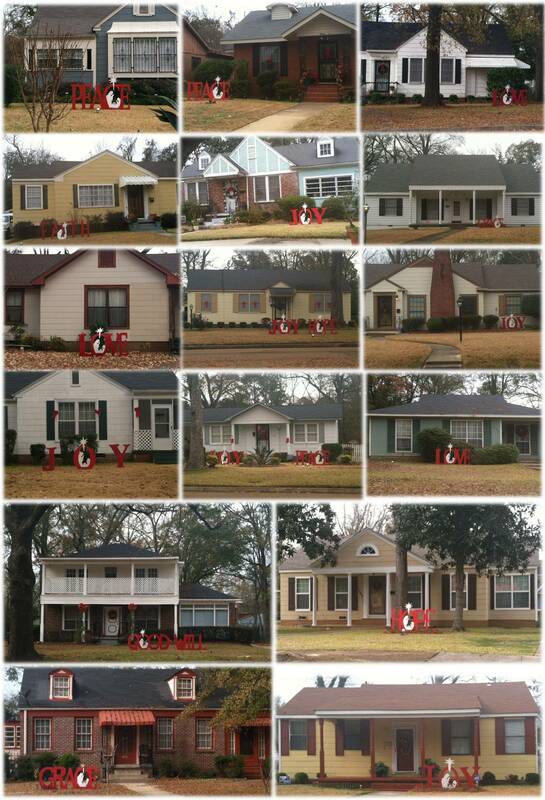 So the residents partnered with carpenter, Mr. John Kimes and students from JPS to create holiday words like ‘Joy, Peace, and Hope.’ This year over 40 residents participated by displaying holiday words on their property and it looks AMAZING! The pictures represent just some of the residents homes, but there were so many, we could not fit them all in. Pecan Park Neighborhood Association is making West Jackson a beautiful place live. So when you get a chance, go take a tour of Pecan Park Neighborhood.